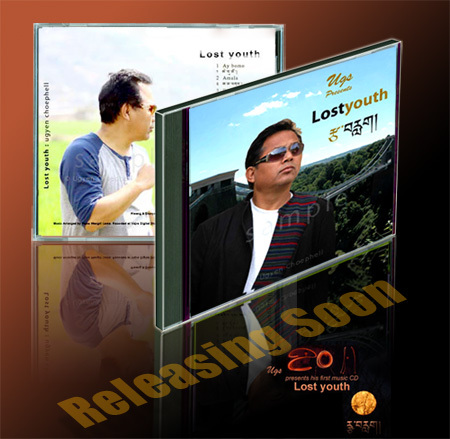 The album called Lost Youth will be the latest Tibetan Music Album by Ugyen Choephell. Its features 8 tracks with a variety of styles, including the popular tracks 'Ay Bomo' and 'Bodkyi Bomo' as appreciated by audiences at recent performances in London and Nepal.. You can find the more info about this album or to buy the cd please click here. Which literally means Heart Song is the latest Tibetan Music Album by Tashi D. Sharzur (Techung). His main aim is to promote the Tibetan awareness among younger Tibetan generation. With this music project he put an effort to preserve ones culture through melody. You can find the more info about this album or to buy the cd please click here. This is the second music album from Thujey Katrin (a two mens team). It has a very nice song lyrics composed by Mr. Urgen Lhundup, sung by singer Sonam Gonpo. 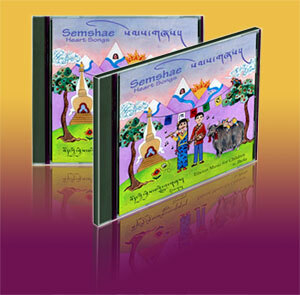 This Tibetan video album was first released in the month of May 2010 in Switzerland on the same day when they were invited to give a concert by Lhasa Boy to raise a fund for TCV school. If you want the lyrics, you can download it from Tibetan songs lyrics website. Tashi Delek and thank you very much for promoting Tibetan music. Much appreciated. There are also three more albums release in India. Trun Trung Karmo by Tsering Gyurme, Lam Chunchung by Choedak and another one by Dranyen Passang and TG. Good job! Keep it up. Thanks. Here is a link to more Tibetan Song Lyrics. Announce New Tibetan Album here. If you got a new Tibetan Song/Album released or planning to release one soon. You may want to tell the world about it, then you can just drop me a mail at webmaster@tibetan-song.com. Please mention some details like Song writer, Album Title and Album's Cover Image. Make your album and songs popular among Tibetans. Stop piracy of Tibetan Songs and Tibetan Videos from Lhaksam media.